Our Luke 4:18 students will launch BT’s First Annual “Odd Sox Project” Campaign. This campaign was founded by two young girls, Carly and Charlie, when they were only 10 years old. Their mission was to collect as many socks, as possible, for the Homeless. So far, they have delivered over 80,000 pairs of socks to homeless shelters. Our Luke 4:18 students would like to be a part of this initiative and are asking for your support! Students are asked to bring in clean, gently used socks. They could be in pairs or they could be the odd socks that are often left behind. As the socks are collected, the Luke 4:18 committee will sort and pair the socks to include mismatched socks. Students are asked to drop off their donations in the “Odd Sox Box” located in the library. 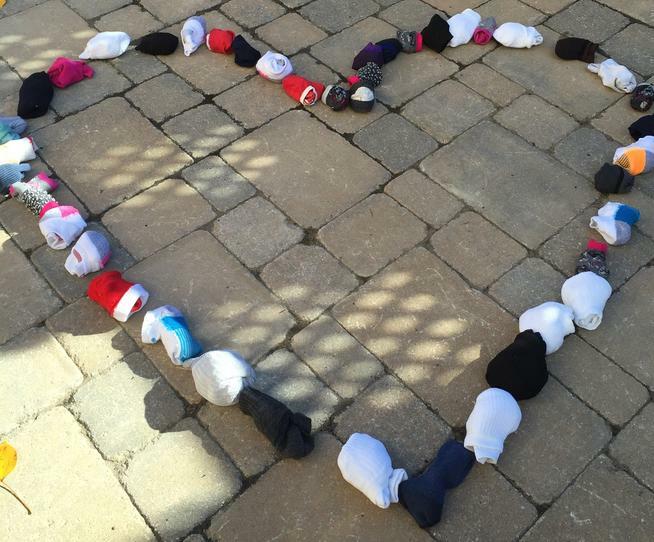 Our goal is to collect 1,000 pairs of socks! The “Odd Sox Project” begins on Tuesday, December 4, and will continue until Thursday, January 31, 2019. For more information about this initiative, please visit www.odd-sox.org. Next Story Next post: Christmas Sing-A-Long!